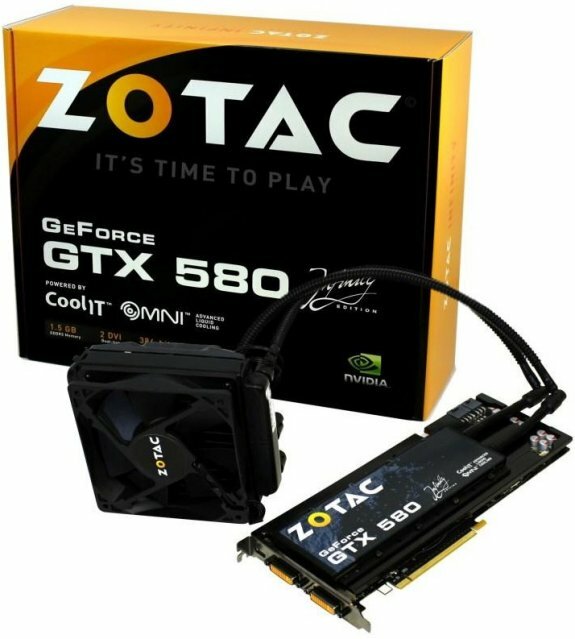 Zotac introduced the watercooled GeForce GTX 580 Infinity Edition as well as the Omni for gamers that want to add watercooling to their current card. ZOTAC® International, a leading innovator and the world’s largest channel manufacturer of graphics cards, motherboards and mini-PCs, today unveils two new water-cooling solutions – the GeForce® GTX 580 Infinity Edition and ZOTAC® Omni for gamers that demand a water-cooled graphics card or want to upgrade their existing graphics card with water-cooling. Gamers with existing ZOTAC® GeForce® GTX 580, GTX 570 and GTX 480 graphics card can opt for the ZOTAC® Omni water-cooling upgrade kit. The ZOTAC® Omni kit includes the self-contained water-cooling solution and everything a gamer needs to water-cool reference-design GeForce® GTX 580, 570 and 480 graphics cards. It’s time to play with the ZOTAC® GeForce® GTX 580 Infinity Edition and Omni water-cooling upgrade.